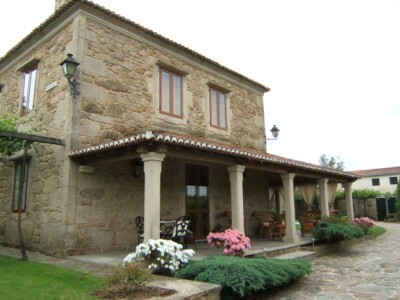 THIS VILLA IS NO LONGER FOR RENTAL. IT IS FOR SALE NOW. 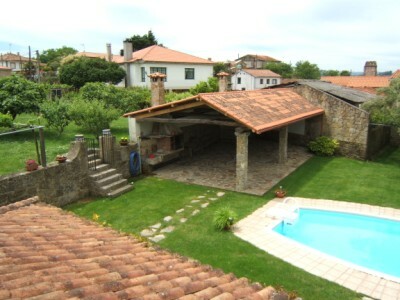 Beautifully restored stone villa placed in rural setting, 20 Km from Santiago (15 min drive by motorway), and close to the small local villages of Ponte Ulla and Ribadulla with small shops and restaurants at hand. There are a few houses and a small church near the house. Peace and nature all around. The river Ulla at short distance offers beautiful routes for a walk, and trout and salmon fishing (you need a licence) . 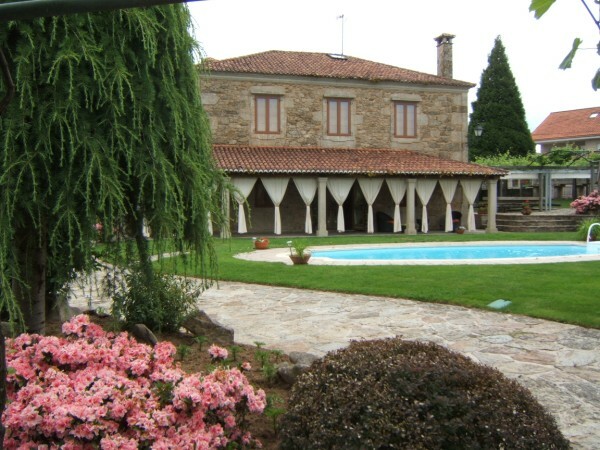 The villa has a large garden with swimming pool, sheltered barbecue and dining area, outdor dining place with a large stone table under the shade of a vine tree, and an orchard with a variety of fruit trees, all set in a quiet and relaxing area. Garden maintenance included. Linen provided. Ideal for family holidays. 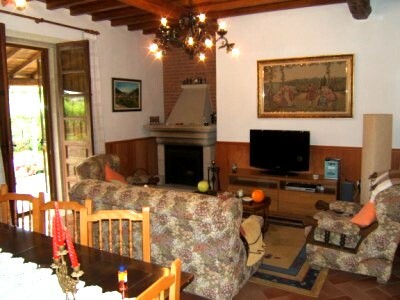 The kitchen is fully equipped with dish washer, freezer, fridge, hob, microwave, oven and washing machine. Suitability: children welcome, non smoking except in certain areas, suitable for elderly or infirm. 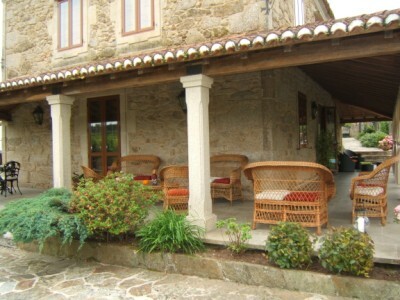 Local Activities: fishing, golf, horse riding, mountain biking, swimming, tennis, walking. 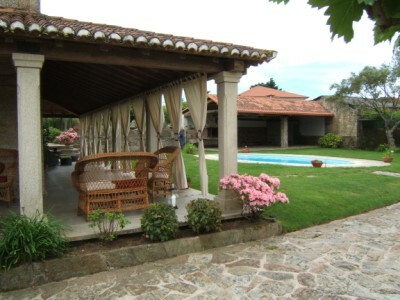 Nearest airport: Santiago de Compostela (SCQ). About 30 Km (30 min drive) from the house. Porto airport in near Portugal is under 2:30h drive. View from first floor. Orchard behind sheltered barbecue area. 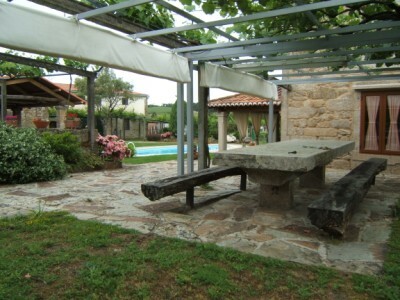 Outdoor dining area with stone table under vine tree.